Alissa Adler brings more than 25 years of experience to her positions as Managing Principal and Managing Broker at Podolsky Circle CORFAC International. As a leader in the Middle Market Investment Advisory Team, Alissa specializes in Investment Sales, as well as Debt and Equity placement across office, industrial and retail assets classes. In her career, Alissa has executed over $1.2 billion in real estate transactions. She is widely recognized for utilizing her broad real estate knowledge and strong nationwide connections to uniquely serve her diverse client base. 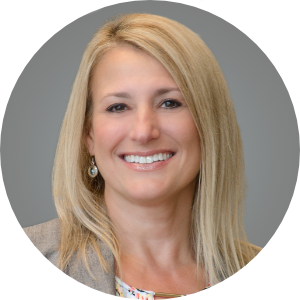 Preceding the formation of Circle, Alissa served as Vice President of Acquisitions and Dispositions at Duke Realty Corporation leading the Midwest markets including Illinois, Indiana, Ohio, Missouri, and Minnesota. Alissa transacted across office, industrial and retail property types and was also a member of Duke’s management committee. Prior to her tenure at Duke, Alissa was Vice President of Dispositions for Equity Office Properties Trust. In this role she was responsible for the successful sale of transactions nationwide, including assets in distress and tertiary markets. Alissa also held the position of asset manager for both Equity Office and Metropolitan Life Insurance Company in Chicago. Asset management responsibilities included CBD high-rise and suburban office, regional malls, neighborhood retail, and industrial properties on a national basis. Alissa is an honoree of Crain’s Chicago Business 2019 Notable Women in Commercial Real Estate and Bisnow’s 2018 Chicago Power Women of Commercial Real Estate.